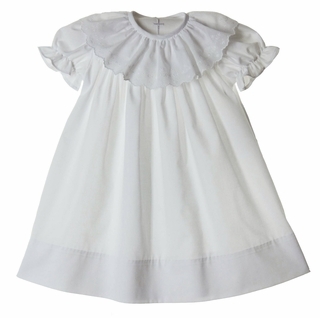 This beautiful white cotton blend float dress is made by Anvy Kids, a leading designer of beautifully detailed special occasion children's clothing. 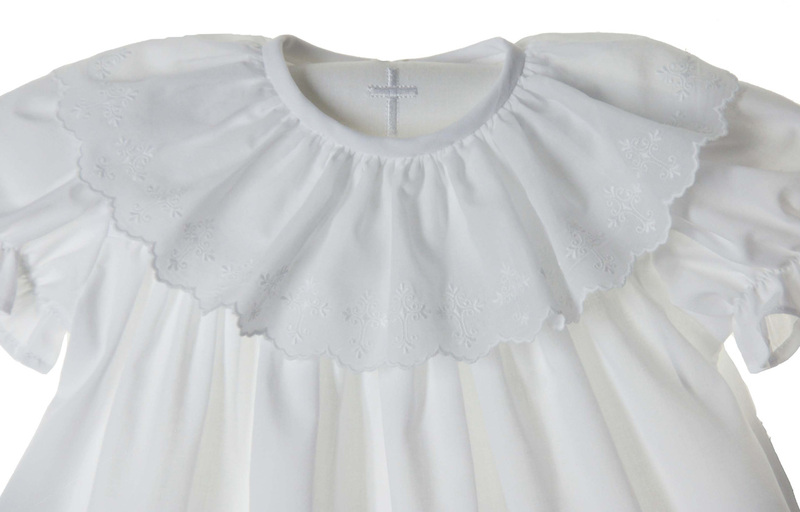 It features a gathered skirt falling from a high yoke and short puffed sleeves finished with elasticized ruffles. The scalloped edge ruffled collar is beautifully embroidered with crosses. 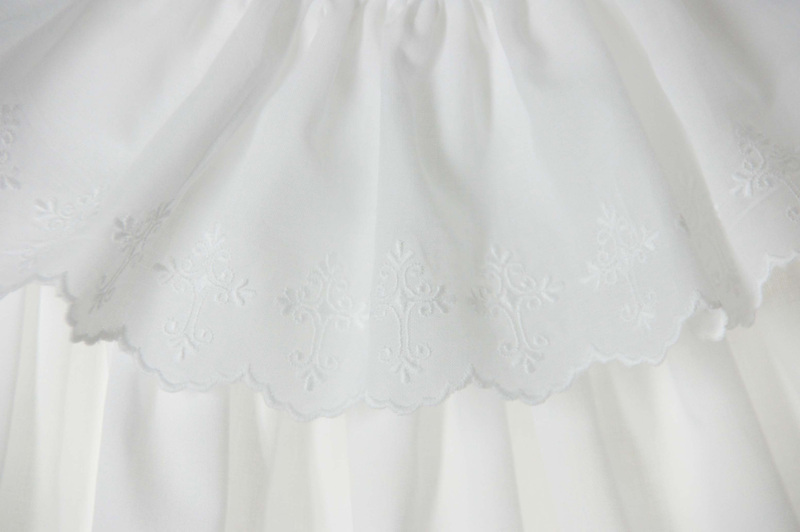 The dress has a back buttoned closure. What a lovely christening, baptism, or dedication dress for your baby, toddler, or little girl!